Oath of the Gatewatch follows through on the promises of Battle for Zendikar in a big way, rounding out the potential of the Eldrazi tribe with a cadre of fantastic creatures stretching right up the curve. Via the continuing Expedition lottery tickets, Wizards of the Coast continues their (by all accounts successful) bid to boost set sales while lowering the cost of playing Standard. So what does this mean for those of us looking to make some money on Oath? First off, now is the time to sell Oath if you’re selling. If you intend to crack cases and sell singles, you should already have them in hand, as within two weeks or less you’ll be facing a saturated market and prices that have fallen to local lows as much as 40-50% below starting prices. 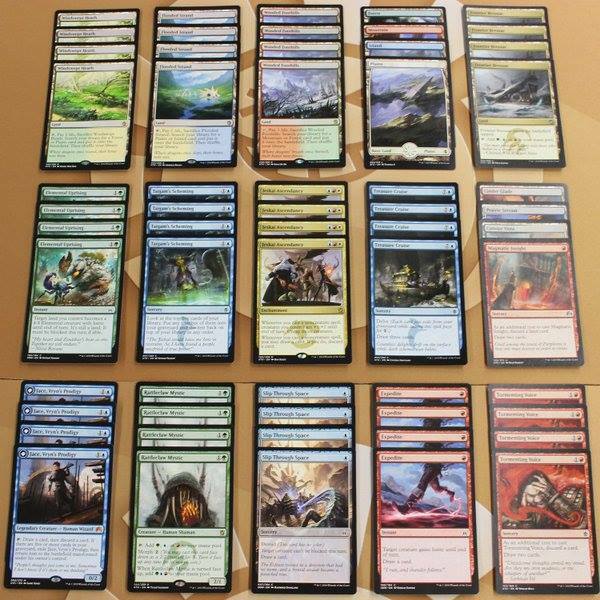 Secondly, this is a small set packed with great cards with a lot of potential both mid and long term, which places it in the same realm as Magic: Origins, a set that should lead to $160-200 boxes within a couple of years as it goes out of print and the cost of Jace, Vryn’s Prodigy stops repressing the price of the double fistful of Modern/Legacy playable rares in the set currently under $3. Finally, the Expeditions are less desirable, but there will also be less of them, as Oath will only enjoy about six weeks in the spotlight before previews for Shadows Over Innistrad takes over. If there’s a rare that seems to be getting lost in the shuffle thus far, this has to be it. It’s worth remembering that Buy-A-Box promo status is often an indication of quality, a la Supreme Verdict and Sylvan Caryatid. Let’s compare this guy to Snapcaster Mage. Snaps is 1U for a 2/1 Flash body that requires you pay the cost of the spell you want to recast. So Snapcaster Mage into Bolt is a total commitment of three mana, but Snaps into Kolaghan’s Command is five mana. On the other hand, GDD at five mana gives you +2/+3 and menace on your threat in exchange for flash. 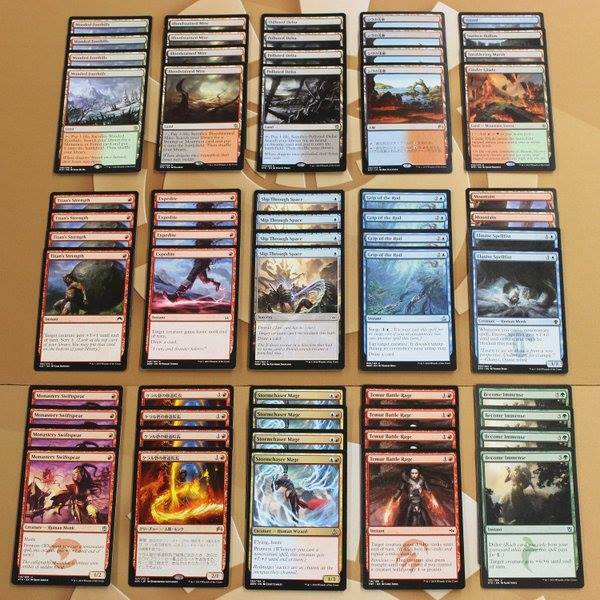 Perhaps more importantly, GDD gives Grixis control decks a great top end in Modern, allowing them to run a package of sweet spells that all double up off of 4 copies each of Snapcaster Mage and Jace, Vryn’s Prodigy, with Goblin Dark Dwellers appearing as a likely 2-of. As a five-drop creature there are no guarantees the card is fast enough, but I will certainly be testing to figure out if he makes the cut. 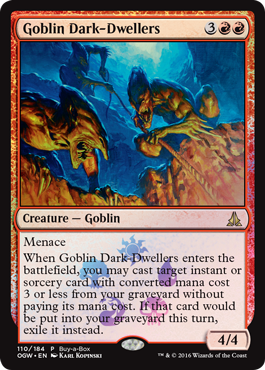 In standard Goblin Dark Dwellers, could easily end up as a 4-of in a great deck that leverages Crackling Doom and Commands of various flavors to create an impenetrable wall of recursive control elements. A Kenji Tsumura brew to consider. The buy-a-box version has stunning art and looks incredible as a foil, and I see this as an easy double up given enough time. The fact that you get these free when you buy a box means there are a lot of copies, but it also means that your buy-in cost can be zero if you’re cracking boxes and willing to hold for a while. As for additional copies, I’d be targeting them around $6-7. Yeah, this isn’t an under the radar pick. In fact, these foils are already sitting around $25, which is pretty high for a new rare that hasn’t won anything yet. That being said, I see this monster as the spiritual cousin of Goblin Dark Dwellers. As GDD is to Snapcaster Mage, so to is this card to Vendilion Clique. It’s slower, but you get a bigger body and they don’t get a (random) card back until they manage to kill it. The real driver here however is the busted combination of Eye of Ugin and Urborg, Tomb of Yawgmoth, which turns Eye into a better land than the hallowed Mishra’s Workshop. In magical Christmas land you drop 4x Eldrazi Mimic off of Eye on Turn 1, and follow up on Turn 2 with Thought-Knot Seer, clearing away their solution card, and attacking for 16. (Alternatively, drop Vile Aggregate off a Mountain and attack for 20.) Even when you have normal hands, TKS is going to come down early, mess up their plans and set the stage for Reality Smasher and Ulamog to finish things off. His power level and flexibility in Standard is on par with Siege Rhino, so I expect this to be a 4-of in multiple formats. Also, the foils are incredible, especially in Japanese, Korean, and Russian. I suspect you’ll see some deals around $20 as we hit peak supply so have your funds at the ready. A word of warning, however. If an Eldrazi build in Modern dominates the tournament and makes Top 8 at Pro Tour: Oath of the Gatewatch next week, don’t be surprised to see Eye of Ugin get banned to bring the deck back down to a reasonable power level. Losing Eye could relegate Eldrazi to Tier 2/3 in Modern and slow or reverse growth. These guys are probably under your radar, but let me get you up to speed. One mana cantrips are dangerous cards, and ones with effects that enable combo or aggro strategies are well worth paying attention to as foils, even if they’re commons. Both of these cards can be found in foil for under $1.50 at present, but Expedite has implications in Jeskai Ascendancy and UR Aggro builds for both Standard and Modern. Slip Through Space may also find a home in Modern Infect as a 1 or 2-of since it can help get through the final few points of infect damage and close out the game. Here are a couple of Standard deck shells to drive home the potential. Note the use of cantrips with Prowess and Delve to end things fast. Jeskai Ascendancy will come out on top again, sooner or later. The card is insane. Will White Weenie Equipment hit critical mass? I’ve already bought 60 copies of this guy around $0.75 and I intend to go deeper if he bottoms out under $.50. This card has all the hallmarks of a role player that is waiting for its’ deck to hit synergistic critical mass. He passes the vanilla test with flying colors, providing a Crusade style effect to equipped creatures and yields card advantage if they choose to let him live to deal with the equipped threat. Once he’s the last man standing, he can even suit up and enjoy his own bonus. While his fellow rare teammates Thought-Knot Seer and Reality Smasher soar on early hype at $15 and $7.50 respectively, the lowly Eldrazi Mimic isn’t even commanding the regular 2x foil multiplier, with regular copies at $2 or so and foils around $3. Yeah, you’re taking 16 on Turn 2, and having your solution stripped. Now you’re taking 20 on Turn 2. How’d that taste? Now how about some Legacy action? Know what that hand means? It means you’re probably dead at the hands of a one mana 12/12 trampler by Turn 4. All of these hands are pretty unlikely, but none of that changes the fact the Mimic represents an open ended amount of synergy with big colorless creatures that can enter play cheaply. At $3 for foils on a potential 4-of in Modern or Legacy or casual decks, I’m in for $100 worth right off the bat. This subtly powerful land has all the makings of a long-term all-star. With Expeditions and so many potential 4-ofs in this set set to make a splash, cards like this that will be played as 1-of or 2-of and slowly acquired for Cube and EDH, will enjoy repressed prices for a while. You aren’t likely to make much on this card in 2016, but I’ll be looking to get in at peak supply for around $2 for regular and $6 for foils on the assumption that I’ll be putting 50 or 60 copies away for a couple of years waiting for the inevitable 100% spike on TCGPlayer as people realize there aren’t that many copies lying around in inventory after all. I opened a Nissa at the Pre-Release and she was a solid lynchpin in my Scion focused deck trying to go wide, but she never felt back breaking even when she was giving three to four creatures a +1/+1 counter. As such, I’m not convinced that this is a card whose ascendancy you want to assume. That being said, she is a 3-mana planeswalker, a gang that has been traditionally known to run the streets. At that casting cost, she could be run as a 4-of in a planeswalker/oath synergy based build like that proposed by Kenji Tsumura today. 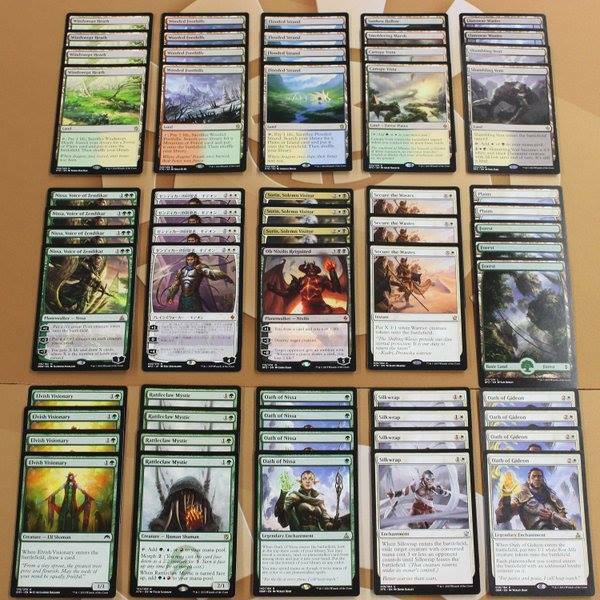 I’m holding off on Nissa, but as a mythic, this is a card you will want to watch out for Nissa to show up in a sweet deck at SCG Atlanta this weekend. If she makes a good showing there, expect her to gain some ground. If she doesn’t find a moment in Standard, she falls to below $12, and you get the chance to stash some away for the long haul, where she is fairly certain to end up a $20+ casual all-star. The time is not yet right, but in the next couple of weeks, the prices on the best of the Oath Expeditions will be injured by peak supply and you will get your chance to load up. Keep in mind that Oath Expeditions are naturally more rare than their fall release counterparts, as the winter set sales will not match BFZ, no matter how cool the set is. 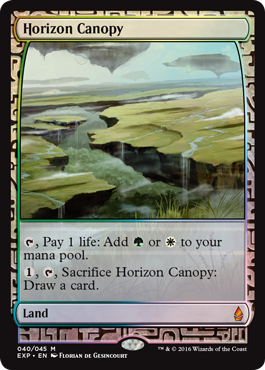 Of the three high demand ones, I’d recommend chasing Horizon Canopy before the others. Eye of Ugin has the biggest growth potential, as fear of banning will likely drag the price down closer to $125, whereas not getting banned could result in a high demand 4-of land with stunning art having been under-priced early on. My guess is that WOTC lets the Eldrazi get freaky for at least a year before banning Eye of Ugin, but let’s see how the Pro Tour shakes out. If an Eldrazi deck fails to Top 8, the coast may be clear to move in. In opening my four boxes of Oath of the Gatewatch, I took note that the total # of Wastes lands per box was roughly one for every four packs, or 9-10 per box. This is a pretty low number. The total number of foils wastes I opened alongside 10 foil full art basic lands? Exactly zero. This leads me to believe that foil Wastes, and especially the preferred Kozilek version (#184) will be in very high demand down the road a piece. These cards are currently available in the $10-15 range, but there really aren’t that many out there yet, so you may get a shot in the $8-12 range. Give it a year, I would guess these will be over $20 so long as the Eldrazi deck sets up shop in Modern and Eye of Ugin doesn’t get banned. Either way, I still like these a lot longer term assuming they don’t start printing them regularly. The rest of the Expeditions are not likely to see high demand, and though they will rise over time, at current pricing you can pay for most of a box or pick up some key cards you need by trading them out. Get it done. As with Ulamog before him, the new incarnation of Kozilek is a great long term mythic that is likely to bottom out closer to $12 before he rises again. 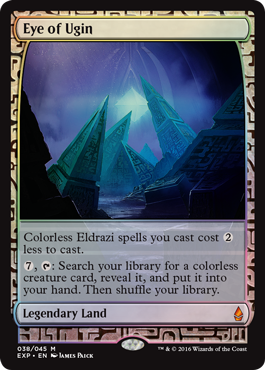 I have to yet to be convinced that Kozilek is preferable to just running 4 Ulamog, The Ceaseless Hunger in Standard or Modern, and I suspect this mythic will get played almost exclusively in the sideboard of the Standard Eldrazi deck, or at best as a 1 or 2 of. That’s not enough to hold position as the 2nd most valuable card in the set, especially with so many good 4-of rares nipping at his heels. Sell or trade out now, and seek a low entry point. Note: Now foils on the other hand are just awesome long term holds. Just go ahead and stash those away and check in in 2019 when they are over $100. If Drana was any indication, this kind of legendary mid-range Standard only role player isn’t likely to make a huge splash. He’s hovering around $7, which is already low for a mythic, but I don’t see this doing much in the short term. You should be able to score copies for the long term around $4-5, at which point I like it on casual demand alone. Also, he works with zombies and vampires and we’re headed to Innistrad, so heads up. So far, this list isn’t doing very well. Let’s see what’s going on. In many ways Battle For Zendikar has played out as we predicted. 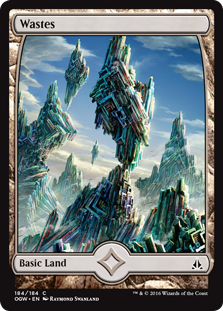 The presence of some very expensive lottery tick – er, I mean Expeditions has held down the price of most of the cards in the set, and if it weren’t for fetch/battle lands driving insane mana bases, Standard would have been pretty affordable this season. Those Expeditions found their lows during peak supply in late November, and have since rebounded, just as I expect the Oath ones to. Moving forward it will be worth keeping an eye on Expedition pricing, as boxes of BFZ around $90 may get pretty tempting next fall if the prices climb enough. Drana, Liberator of Malakir is a great card that simply hasn’t found a home. I’ve been running two copies in my WB Aggro/Control build in Standard for months, but most players find her to have too little board impact in a format that is contending with perfect mana and multi-format all-stars like Siege Rhino and Jace, Vryn’s Prodigy. Moving forward, as both an ally and a vampire, and given that we’re headed back to Innistrad and more vampires later this spring, Drana may find fresh legs, but I have trouble recommending you buy in until something definite develops, since further lack of play could push her into bulk mythic territory around $5-6 and signal a long term buy plan. Oblivion Sower is on the cusp of finding a home in both Modern and Standard decks, so I feel confidant he’ll keep moving in the right direction despite the dual printings so long as Eye of Ugin doesn’t get banned. Woodland Wanderer looks like the Savage Knuckleblade of BFZ; a big, bad boy that can’t get no respect in the face of even larger Eldrazi. Once Siege Rhino rotates out, he may find his path, but I’ll hold off on $1 copies until I see some camera time at this point. On the long term side, the Retreat to Corelhelm deck hasn’t posted a big result in Modern yet, but that’s a good thing here because you can now get in on the prospect of this busted card eventually doing big things for just $4 per foil. I love that price. Emeria Sheppard foils are down to $4 as well, and I endorse stashing some of those away for future EDH/Casual angel gains. Painful Truths is up a bit, and Bring to Light has collapsed, but both cards have foils carrying a whopping 10x foil multiplier, a sure sign that people expect them to do big things moving forward. Both cards are seeing experimental play in Modern, and some enterprising pros are already swearing by Truths in Legacy, so grabbing a bunch of these at current pricing for long term gains seems reasonable. So far, the only solid win from the list was Abbot of Keral Keep foils, if you rode the earlier spike above $20. I correctly identified that the card was Modern-playable and likely to rise on demonstrative play. As it turns out, the card is seeing play in both Grixis and Temur decks in Modern, including the innovative Temur Prowess deck recently played to a solid finish by Patrick Chapin. Since the fall spike noted in our last check-in, these foils have fallen back to $12 or so as the price of Jace has continued to rise. I’d recommend moving in on the card at this price if you haven’t already, as I still predict a future price over $20 on further Modern play. As for the rest, Erebos’s Titan and Pact look dead for a standard career, but Abbot, Leap and Harbinger all represent excellent long term value. Of the three, Harbinger and Abbot are the most proven, so focus on those. TLDR: Don’t trust your specs, most of your picks lost over 50% of their value. The whole point is to test the methods of evaluation over time and try to spot patterns and ideas that work. I have no issue taking heat if I tell you to buy something as your first priority in the short term and it fails, but if you read carefully, you’ll see that most of these specs carry caveats and long timelines. When it is obvious these cards are powerhouses. Same when the Zedikar fetches were at ($8-$10), & Narset was this “Hype Planeswalker” people pick & chose what to focus on, then hindsight everything is 20/20. we enjoy understanding your thought process & your articles are always a great read! Keep up the good work. Cheers! I look forward to watching all of this play out over the longer timeline with you guys. The author is willing to retro on his previous calls. Mtg Finance is also a game of variance. Sometimes the ‘correct line/method’ will lead to negative outcomes time and time over. Sometimes not. Interesting thought on seeing a potential early ban on Eye of Ugin. Have you ever seen WotC lay the hammer early on a modern card outside of it’s scheduled b/r announcement? I’m assuming that they ban on a yearly schedule here. Hey Kenny. Re: Eye of Ugin, bannings are quarterly, not annually, so we’re really waiting to see whether an Eldrazi build manages to dominate the Modern Pro Tour this weekend. If it doesn’t dominate but does T16, Eye is likely a safe haven for cash in 2016. It’s a bit of a balancing act, because too much success marks it for banning, and too little means the combo with Urborg isn’t broken enough to make a top deck. Allow me to explain. This series isn’t about picking the best specs short term for Standard, it’s about identifying interesting ideas other people aren’t onto yet, often with a long term focus. We’re dealing in long shots here. Some of them have a much higher chance of working out then others, and many of them are long term specs that take a minimum of 2-3 years to come to fruition. I’m not “wrong” about Origins or BFZ just because those cards are at fresh lows…that’s the natural pattern for this timeline on those sets given that Jace and Expeditions are repressing the value of their rares. I never believed for instance that Erebos’s Titan was a top spec, just that it was a powerful creature that may have been undervalued when first reviewed. As the metagame turned out, there was no room for the card, but the idea had potential at the time. Hindsight is always 20/20 but the value comes from establishing a framework for evaluating card potential off the beaten path. Don’t look at this series as a “run out and buy all of these cards” kind of thing. Rather, use it as a jumping off point for coordinating your actions along lines that makes sense for your budget, timeline and goals. If you’d rather just grab the hottest sure thing, go buy some Little Jace foils, they’re way undervalued at $90. I think it is only a matter of time in most of your picks. Harbinger of the tides will certainly be a hit once the supply dries up a bit. That card is played in legacy and modern and casuals love tribal. Allow me to explain. This series isn’t about picking the best specs short term for Standard, it’s about identifying interesting ideas other people aren’t onto yet, often with a long term focus. We’re dealing in long shots here. Some of them have a much higher chance of working out then others, and many of them are long term specs that take a minimum of 2-3 years to come to fruition. Each spec in the list carries a varying chance of success and perhaps I’ll start listing confidence levels to assist in elucidating my priority sequence. I’m not “wrong” about Origins or BFZ just because those cards are at fresh lows…that’s the natural pattern for this timeline on those sets given that Jace and Expeditions are repressing the value of their rares. For instance, I never believed that Erebos’s Titan was the best card in Standard, just that it was a powerful creature that may have been undervalued when first reviewed. As the metagame turned out, there was no room for the card, but the idea had potential at the time. Hindsight is always 20/20 but the value comes from establishing a framework for evaluating card potential off the beaten path since you can never predict with high accuracy which cards will be released later to turn your long shot “on” or “off”. If I got more than one or two of these cards right per set in the first year of release I would be stunned as the economics don’t generally support success along these lines in the short term. Don’t look at this series as a “run out and buy all of these cards” kind of thing because these are not the best options in the market by any means, since that’s never been my intent. Rather, use it as a jumping off point for coordinating your interest in under the radar cards along lines that make sense for your budget, timeline and goals. If you’d rather just grab the hottest sure thing, go buy some Little Jace foils, they’re way undervalued at $90. Surprisingly, I don’t like any of your picks. Don’t want to go in details but most of your picks are just very bad in current T2 Meta. Oath of Gideon is undervalued. It is a dollar rare and I can definitely see it fits very well with Gideon, the second most played spell in T2. The second ability gives additional loyalty is pretty amazing. Turn 3, play Oath. Turn 4, play Gideon use Ultimate. Turn 5 , Attack with 10 damage (6 from Gideon and 4 from two tokens). I normally don’t like pick $15+ as a spec. His price is now declining to around $16. While the latest Ulamog is at $30++, I definitely think this guy is almost at the same level with Ulamog. He will see played in Modern and T2. I can see putting 2-3 cards and Ulamog at 2-3 cards to avoid the possibility of Infinite Obliteration in Standard. Eldrazi Displacer doesn’t give you any advantage in the turn it comes. I just think he is so good that can fit in many combos. Really couldn’t turn it down. Again, the cards I said would be in T2 in BFZ were played in T2 but there was not much financial gain since Prerelease. This set is selling a ton and I expect the same that cards wouldn’t go up much in price this time as well. 1) Oath is a decent long term spec, and I think we’ll get a shot at it around $.50/copy shortly. I’ll be targeting foils as an integral tool in EDH Super Friends builds. 2) Kozilek is a great card, but he will go down before he goes up, and therefore made my sell list. Ulamog was also great, but hit $10-12 before bouncing back. Look for a Kozilek entry point this week or next if you’re serious about him. 3) Displacer is a fantastic card with tons of combo potential. It needs to come down in price before it makes my list, at which point I’ll be looking at both regular and foil copies. Don’t worry, the post from Nikey was a solid “TDL:DR, here’s what I think unrelated to your post.” deal. So just ignore it. If people actually read the words you write down, they’d see this as a mind exercise to get an advantage through evaluation and analysis. Oath of Gideon doesn’t tutor. You’re getting it confused with call the gatewatch. Unless you meant to call it a tutor target. Typed tutor instead of “tool”, corrected, thanks. See, these are good spec targets. Mr. Chilcott should chill with the articles until he improves his spec accuracy. Well, at least he has the guts to tell the truth and be critical about himself. Not too many people are capable of that. So speccing now is useless, if you don’t intent to buy now and sell after the weekend / PT. Because the SCG-Tour/PT spikes are quite shortlived. So the question is: Will the specs called here be good down the line? For that to happen, Magic needs a strong growth, which I doin’t think is realistic. Finance guy try to draw parallels from the past make a mistake in my opinion. Another difference from the old times to now is the larger group of people that inform themselves about MTG finance, which makes it alot harder to win in this game. The bottom line: Alot of people buying cards just for speccing not for playing, underestimating the supply, thinking of themselves as clever, and then in the end sit on their cards forever or sell at a loss. Remember: The demand is mostly from the small group to competitve players. And the smaller relative to the rest of the MTG players this group gets, the more tournament cards are available for them, the lower the price. Hey Frank. You need to follow me on Twitter and read my other articles if you want to understand my speculation priorities in full. This series is intentionally aimed at long shot specs, and as such, will have a high rate of failure short term and a better return over the long haul. I covered some hotter specs on our new MTG Fast Finance pod cast this week if you’d like to check it out. I can’t see how Crush of Tentacles doesn’t find its way into a blue rebound/control deck. Turn 4 Sight beyond Sight, turn 5 Crush of Tentalces surged off of the rebounded Sight. Or any combination of the above with more mana in play to defend your newfound 8/8 squid. I think Crush will get played, but it won’t likely be a 4-of, and it won’t have legs in Modern or Legacy, and as such, is almost certainly end up as a bulk mythic. 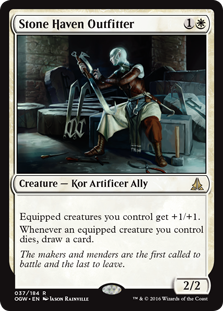 The Surge decks in Standard are likely to move too fast to want this card, and the controls decks have multiple finishers in Ugin and Dragons that are superior. I`ll also point out that James was one of the few mtgfinance people to be bullish on Abbot of Keral Keep before Patrick Chapin got onto it,so I`ve been very interested in what he has to say,and I`d really like to see more of his thoughts on Standard and Modern as the season rolls on! James, I appreciate you reviewing your previous targets and showing how they’ve faired. I think MTGO redemption is hurting your price predictions a lot as there’s just SO many damn cards printed nowadays. And when people spec on them early they don’t have to chase them down later (it’s the opposite of what I call the desecration demon effect, which is when people DON’T have a card it spikes when they realize it’s good later on and don’t already have it). I don’t understand the Foil Harbinger of the Tides pricing. I’ve had to stop picking up playsets cause I’m starting to think I’m just wrong and cost averaging on a bad spec isn’t helpful (ie my failings with Spirit of the Labyrinth foils). However, the same thing happened when I targeted foil Chord of Callings from M15 and got foil playsets at a low of $40…Chord is a much more popular card and has doubled since but I’m losing hope in Harbinger’s price and thinking it’s more Spirit and less Chord. Also my spec is Oath of Nissa Foils. I think the card is a 3-4 of in Standard Abzan decks and the same in Modern Jund and Abzan…when don’t you want to draw the card? No it’s not “Green Ponder” but you know what, if it was it would get banned lol. I think it’s the Collected Company of this set, and it plays amazing well alongside Liliana of the Veil because you can use any of your lands to cast her. Also, Stormchaser Mage foils are entirely too high right now. Monastery Swiftspear foils are roughly $15 and it’s in much more demand although the supply is higher. Foil Delver can’t break $15. I don’t see Stormchaser as a smart spec target as it ONLY fits into one shell. It might not be a bad card, but I can’t see the price of entry to be remotely good right now. Same thought on your spec of Thought Knot Seer…though I too see an emergency banning in the 6 month future for the Modern Eldrazi deck to also kick Thought Knot Seer’s price back down to reality. We’re ahead of the curve on Harbinger by about 6-12 months. I see steady gains up towards $15 over the next 18 months on foils. Just hold…this isn’t Spirit, a card that didn’t finish 2nd, 3rd and 12th as a 4-of at a large Modern tournament this weekend like Harbinger did. Oath of Nissa is another card I haven’t had the chance to test in Modern yet, but you may be right about it. Stormchaser Mage foils ARE “too expensive” for speculation in the sense that they are already priced as though they are an uncommon 4-of Modern card in print. I’m interested, but only if they dip by 50%. And unfortunately Goblin Dark Dwellers says “when it enters the battlefield” not “when you cast” otherwise I’d agree that this card would be amazing. In Standard it’s fine, but I don’t see it getting to your price point as it’s playability in Modern is sketchy at best. If someone builds a winning Red based aggro deck with GDD and Expedite, maybe with Zada and some tokens mixed in you might have something. 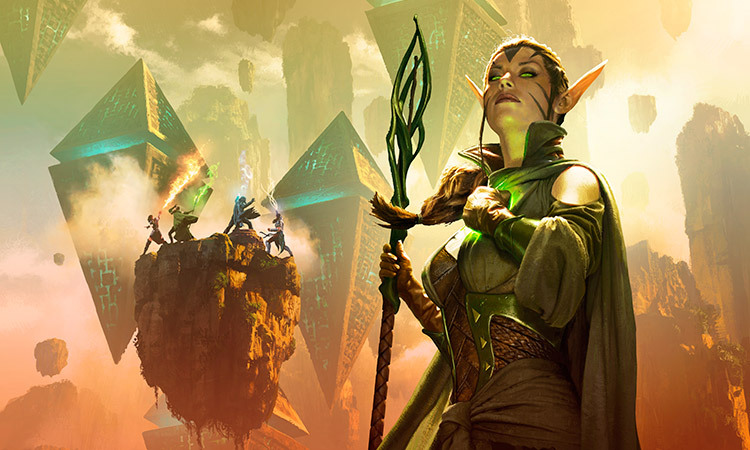 We’ve just seen Abzan and Jace tear these decks apart for months though. My main hypothesis here is that Snapcaster + KCommand in Modern carries the same cost and roughly the same exposure to counterspells as GDD. Snapcaster is clearly the superior card, but that’s a high bar. I completely respect your follow ups on your predictions. Gotta be honest with the facts. Appreciate the article and analysis!!! Thanks Bob! Always best to put ego aside and just deals in facts to improve results. what are your thoughts on foil reflector mage? I know its finding a home in cubes, but not sure about EDH or other potential markets. I know you are asking JC, but I think the card is excellent. Compared to the price of Stormchaser Mage it seems like a good spec target. Showing up in 4 Color Rally on SCG camera coverage. Of note, Rally leaves Standard in a few months. But Reflector Mage is a 3 cmc Human Wizard with a pseudo timewalk ability…that’s a lot of possibilities to see Modern or even Legacy play. I like this card a lot but haven’t actually tested it out yet, so I’m withholding further commentary until I do, but the power is definitely there. It’s extremely powerful for a number of reasons, but in standard, taking a whole turn off is a big deal. I’ve noticed a LOT of cube players picking up foil copies as a strategy against reanimation for a man-o-war with upside. Also, in standard, bouncing Anafenza, the Foremost and Kalitas gave the rally decks gives some protection from graveyard hate for a few turns. Last weekend we definitely saw the man-o-war put in work. 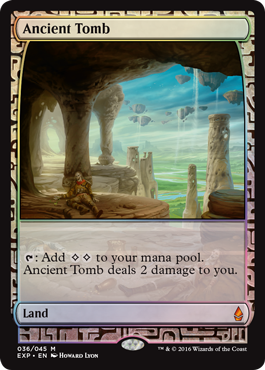 Also, it’s a really nice card for modern UWx control decks to bounce wurmcoils or bounce to buy you a crucial few draw steps to get to your sweeper / removal. Someone actually proposed that this was a good show and tell target to bring in because not only can it be cast reasonably (unlike Ashen Rider), but it can bounce Emrakul back to hand. One card I don’t really like too much though is expedite in foil. I suppose people are always looking for ascendancy combo stuff in standard and along with slip it could be interesting, in modern it’s pretty much exactly crimson wisps. Standard foil maybe, but I don’t think I want to run 8 wisps in modern, though I could be wrong about that. While not all specs are home runs, I enjoy the insight to why you invest into certain cards. This has helped not only with picking some solid specs, but how to better evaluate cards. Teach a man to fish and all. Glad to see you writing again after the big haul. Thoughts on Reality Hemorrhage foils? It deals with Kor Firewalker, Etched Champion, Burrenton Forge-Tender, and Mom. Can also go to the face in a pinch. Solid applications for sure. Let me think about it for a while and get back to you. Stop telling people to buy foils. It is one of the biggest traps in the MTGFinance community. Respectfully, foils are not a trap unless we’re talking Standard staples. 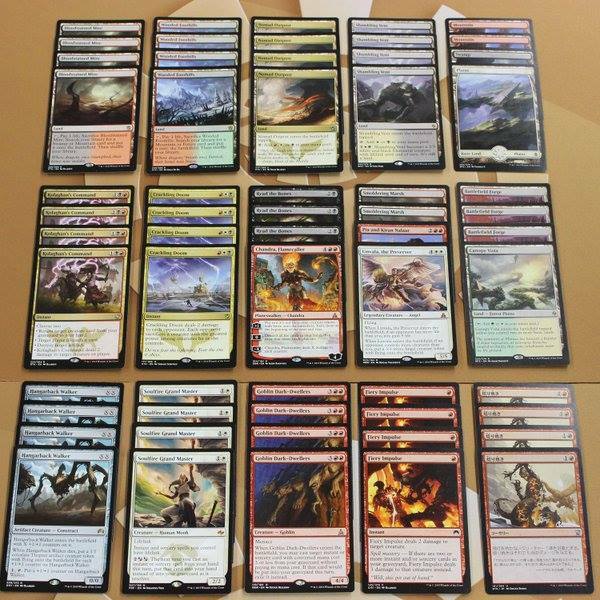 Modern, Legacy and EDH cards carry large foil multipliers. My pile of foil Collected Company, Eidolon of the Great Revel, Kolaghan’s Command and Jace, Vryn’s Prodigy from the last year showing 100-300% gains attest to this. From the list above, Slip Through Space foils have already hit my target and Thought-Knot Seer saw a similar spike this weekend on foils, as did Eldrazi Mimic. Plenty of money in the shiny stuff.